Are You a White Stripe? 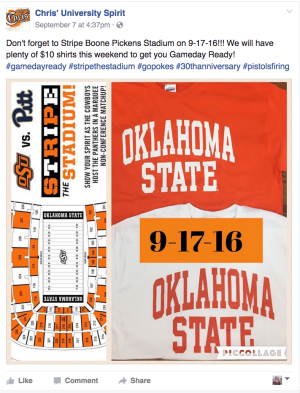 There was plenty in stock at noon today, when one of our Visit Stillwater team members picked up three in WHITE at $10 each! 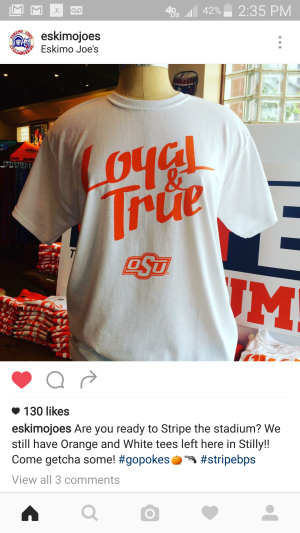 Loyal and True tees are $15.95 for S-XL at Eskimo Joe&apos;s, but if you are one of the first 7,500 students at the game, OSU Athletics has a free one for you! 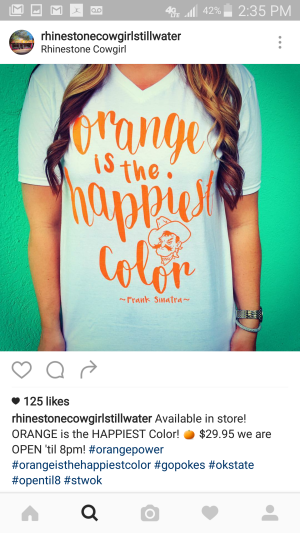 We couldn&apos;t agree more, orange is most certainly the happiest color and you can still sport it in the white section with this boutique-style tee! They are still available in limited supply today for $29.95. If you&apos;re not familiar with Stripe the Stadium, learn more here and find your section!